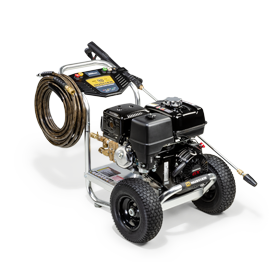 Keep your engine cooler and healthier with the protection a commercial mower needs to operate at peak efficiency. Larger drive tires provide a smoother ride experience. The FasTrak SDX offers up to 23" drive tires. Built with Hydro-Gear's commercial-grade serviceable transmissions. Features an extra high back, an industrial tubular frame, and armrests. Additional bolstering for better side-to-side support, and internal suspension to absorb bumps. Engineered cushions add extra support and protection to relieve pressure on your spine and lower back. The FasTrak® SDX has the best warranty in its class in the industry. Easy-on, easy-off blower and hopper assemblies. Holds 7.2 bushels. Easy-on, easy-off bagger has a 3.5 bushel capacity. 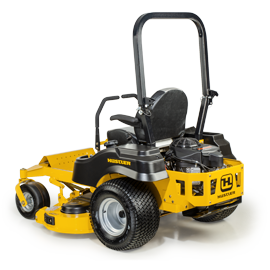 Improves vacuum and cut quality while reducing blowout in thin/dry grass conditions. FasTrak SDX is rated 4.4 out of 5 by 18. Rated 5 out of 5 by Paramedic from No regrets I was torn between the fastrak and the raptor , did I need the lower end commercial grade , I just have a .88 of a acre , how am I gonna convince my wife about the extra money . The answer is yes , if you have kids and full time job and hobbies and any other responsibilities. This is the mower for you , I cut my lawn in half the time as my riding tractor and the speed and deck height are amazing. Lawn maintenance is no longer a pain in rear , but something I knock out because I have more than enough lawn mower . I still hate to trim but cutting it is fun, I know it doesn’t seem like such a difference between the raptor and fastrak , but once you test them at the dealership you will know .i can’t attest to the longevity, as this is my first season , but I am very very happy . Rated 1 out of 5 by Ryan26 from Piece of junk Bought the fastrak sdx 60" in 2016, after each winter so far I have had to send it in twice for electrical issues and now the fuel pump has gone out. Keep in mind I only have 127 hours on it. If this is their "commercial grade" I would hate to see their normal homeowner grade mowers. My suggestion is to buy anything other than Hustler. Hope this review helps someone who is on the fence about Hustler products. Rated 5 out of 5 by Lawnman from a true TANK! We are a 12 year old lawn care business that has used most professional ztr mowers. This machine was by far our favorite. We added flex forks to our 54" and get the smoothest, cleanest cut on the market. 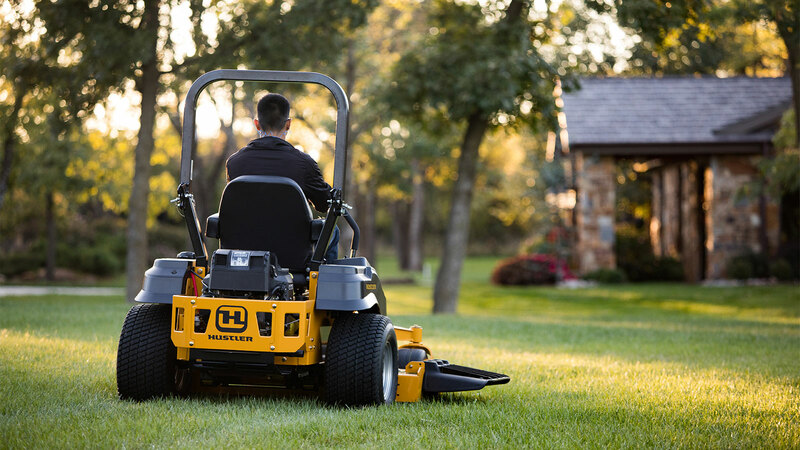 The crew loves the simplicity of this machine being able to start and go....thank Excel...Russ Haley Island Mowing Co.
Hi Hector, prices vary from location to location, please check with your local store. Hi Hector, The Fastrak comes in 3 deck sizes - 48&quot;,54&quot; and 60&quot; all are side discharge. They come equiped with either a FR691 23hp or FR730 24hp Kawasaki engine. Top speed is 7mph (smooth, flat terrain) with a 3 gallon tank. It comes with a 3 year / 300 hour warranty for residential use or a 1 year / 300 hour commercial warranty. Please see more details on the hustlerturf.com site or talk to your nearest dealer. Hi Jojo - thank you for asking. 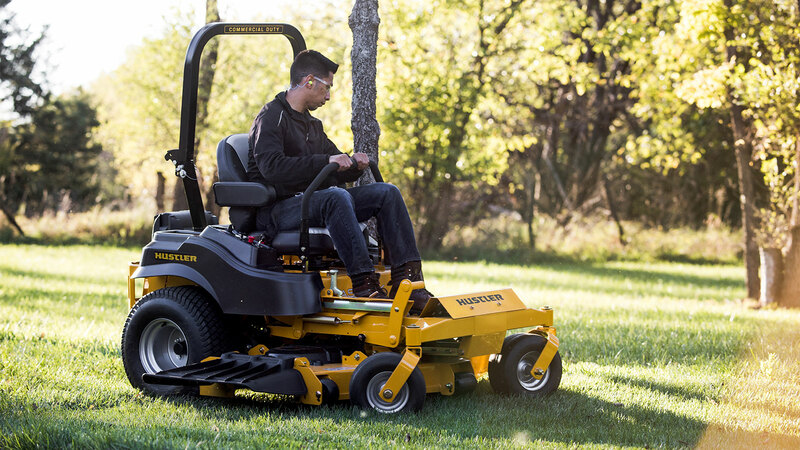 The minimum mower you should purchase would be a Raptor SD. The ideal mower is a Fastrak. Feel free to look at Hustlerturf.com and use the online mower comparison. Our recommendation would be to jump up to an X-ONE, Super Z or Super Z HyperDrive for that many acres. I am looking for a zero turn that can handle 10 acres of quite bumpy terrain and will last for years with regular maintenance and minimal problems, which model would be suggested?